SWTz has always been about community and helping people where they are at.Since arriving in Tanzania Rebecca and Wendy have been involved in community outreaches, from food distributions to midwifery seminars, working with different local partners and tribes around northern Tanzania. Building a simple goat shed and installing a female milking goat which can be bred from. The milk is especially healthy for young children and milk and offspring can also be sold. 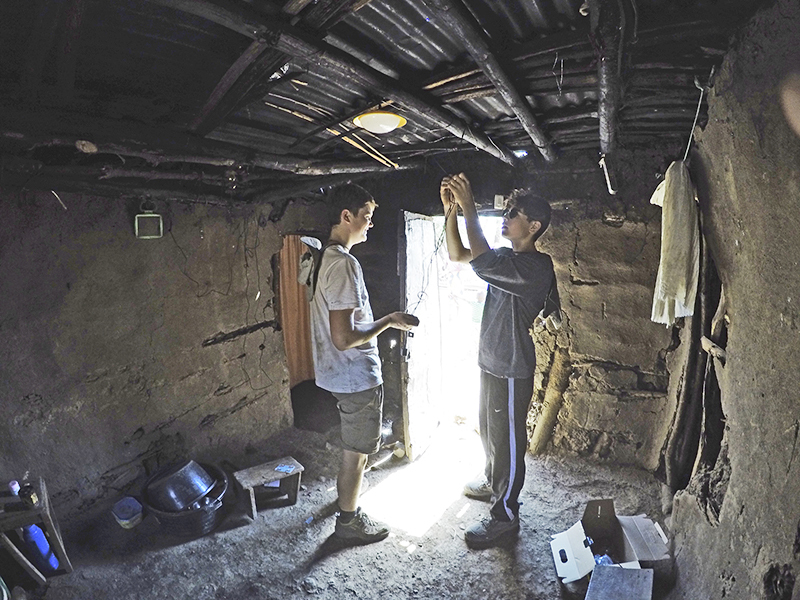 Installing a simple three-light solar system so families can see at night and children can study. The system includes a USB port for charging phones and radios – families can charge neighbours a nominal amount to charge their phones…every little bit helps. 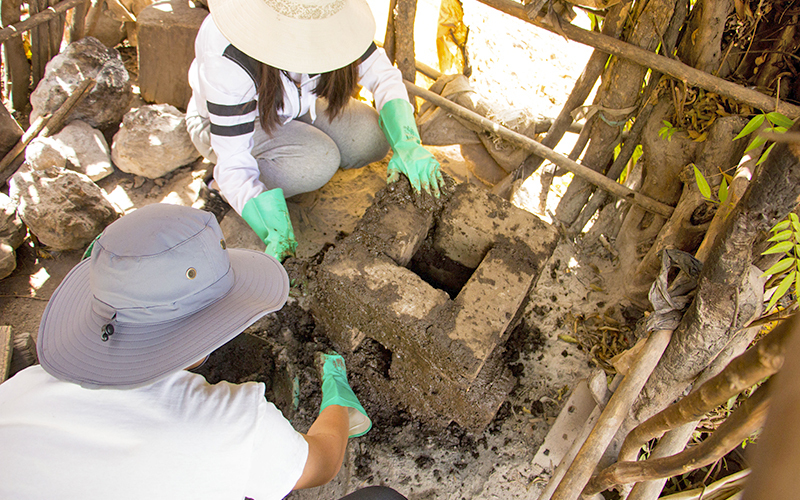 Building a fuel efficient reduced smoke ‘rocket’ stove which uses less fuel, cooks faster, and produces less smoke. Better for the environment, and lungs! The number of students attending schools far outweighs resources. Schools lack classrooms, desks, teachers, books… School are often far from main towns, and teachers have to travel a long way to get to work, costing money, and taking valuable time which could be better used towards lesson preparation. Students often sit five students to a desk made for two, or sit on the floor. SWTz partners with local and foreign organisations and private donors to fund and take part in our community projects. 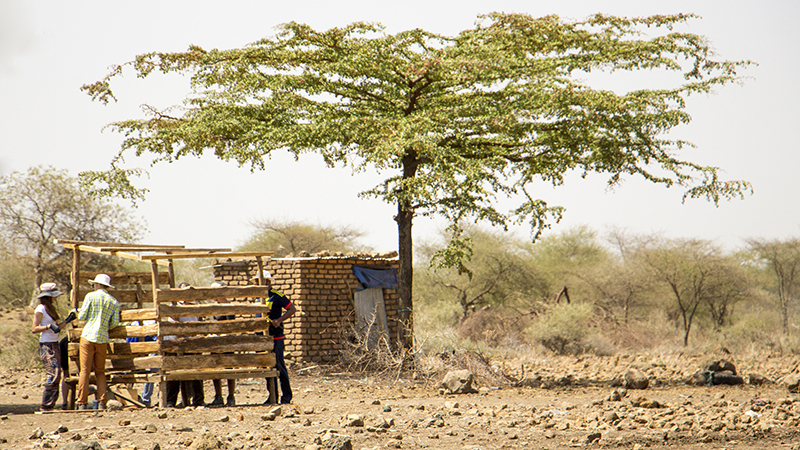 We work with the Tanzanian Ministry of Education to determine which schools need the most help. 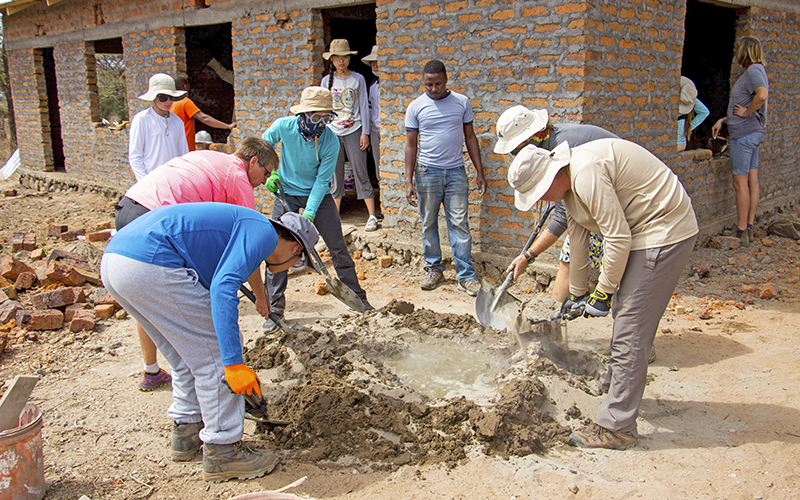 Since 2014 we have partnered with Nord Anglia Education (NAE), who send teams of international high school students to Tanzania to undertake community and service projects. 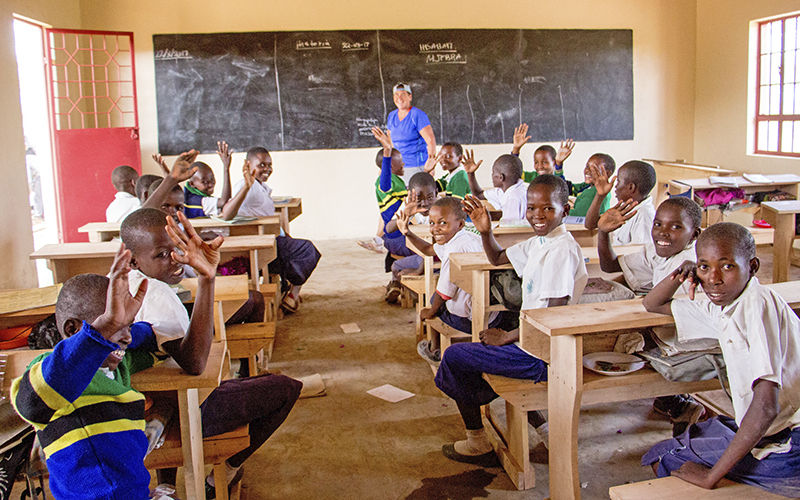 Through our partnership we are reaching thousands of Tanzanians a year, from families to school students. 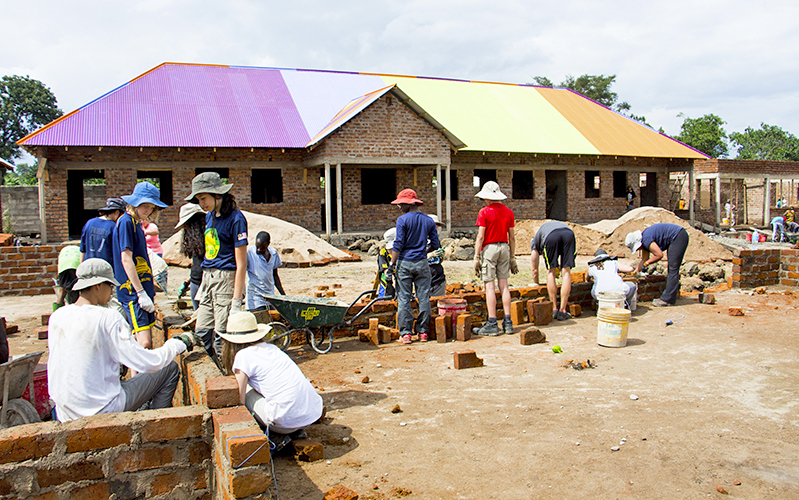 NAE students have built classrooms; teacher’s housing (so teachers don’t have to commute on a daily basis); transformed an unused room into a well-stocked library; put a fence around a school; installed playground equipment; and built hundreds of desks. This programme is now our main work, and we have a great team at SWTz. So much is being achieved to help people where they are, and we feel very privileged to have a small part in so many wonderful people’s lives.